Seche Vite is an amazing nail polish top coat. “Seche Vite,” French for “dry fast,” not only lives up to its name, it also gives you more shine than you know what to do with. Because it dries fast, you can apply a generous amount of Seche Vite onto each nail without getting bubbles; this creates a uniformly smooth finish. Tested on top of a few layers of China Glaze In The Mood in “Burgundy,” which has a very dull, matte finish, Seche Vite instantly perked it up with its high gloss super shiny finish. 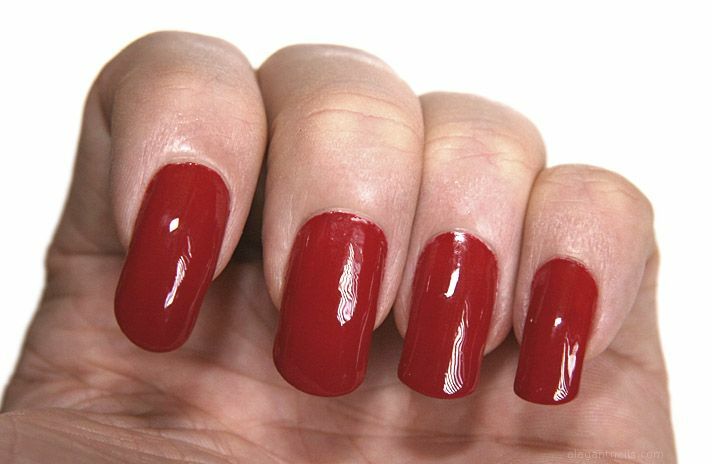 Seche Vite gets rave reviews from many women who say it is their favorite top coat. If you have never tried this excellent nail product, you don’t know what you’re missing. An extra perk is it can cover up smearing, so even if you apply coats of nail polish in a color you love but imperfectly, Seche Vite can still give your nails a perfect finish. Now you can create the high-quality nail salon manicure on your own. There is hope in a bottle.